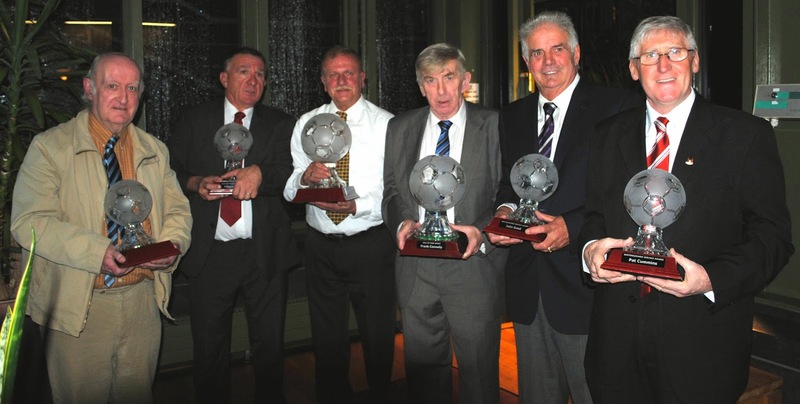 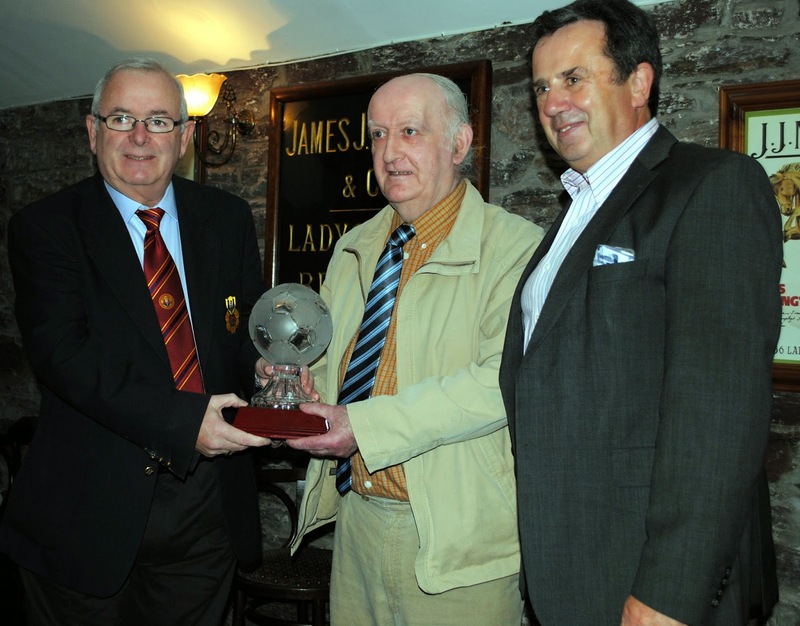 The 2014 Cork Soccer Honours awards were held in the Kiln, Heineken Ireland and the following were the worthy recipients. 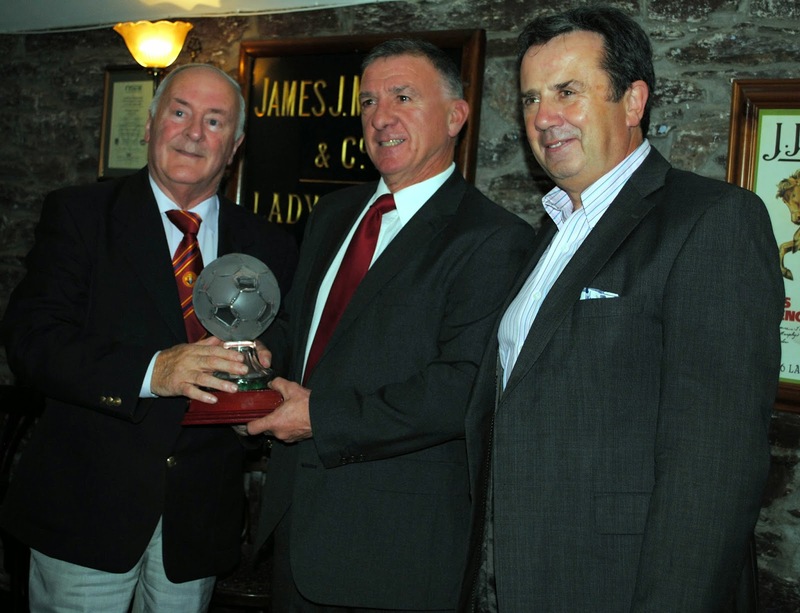 Hall of Fame Award: Martin Conlon (Cork AUL) presents the Hall of Fame award to Frank Connolly at the Cork Soccer Awards held in Heineken Ireland on Friday night. 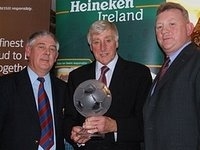 Also in picture is Jim Cashman (Heineken Ireland). 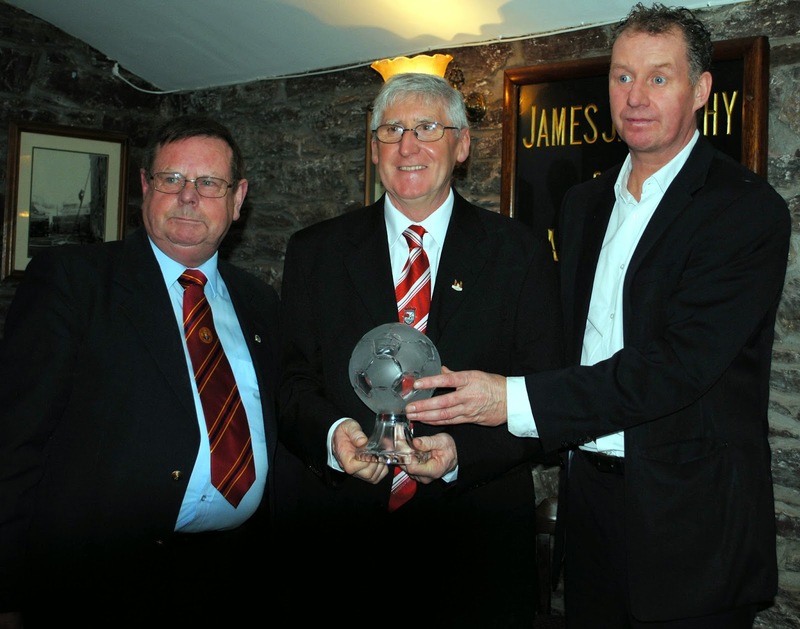 Kevin O’Mahony (Cork AUL) presents a Distinguished Service Award to John Good at the Cork Soccer Awards held in Heineken Ireland on Friday night. 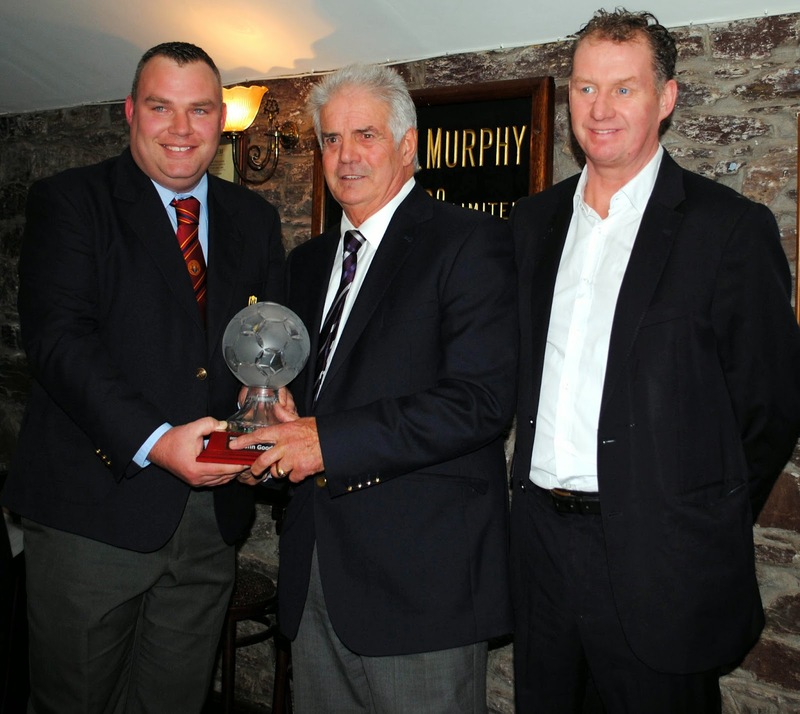 Also in picture is Jim Cashman (Heineken Ireland). 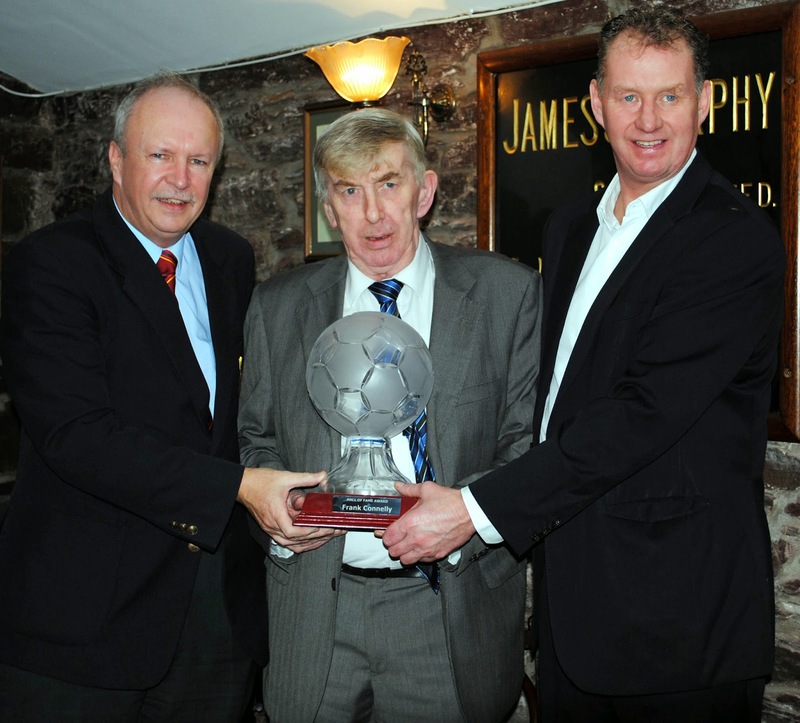 Barry Peelo (Cork AUL) presents a Distinguished Service Award to Philly Burke at the Cork Soccer awards held in Heineken Ireland on Friday night. 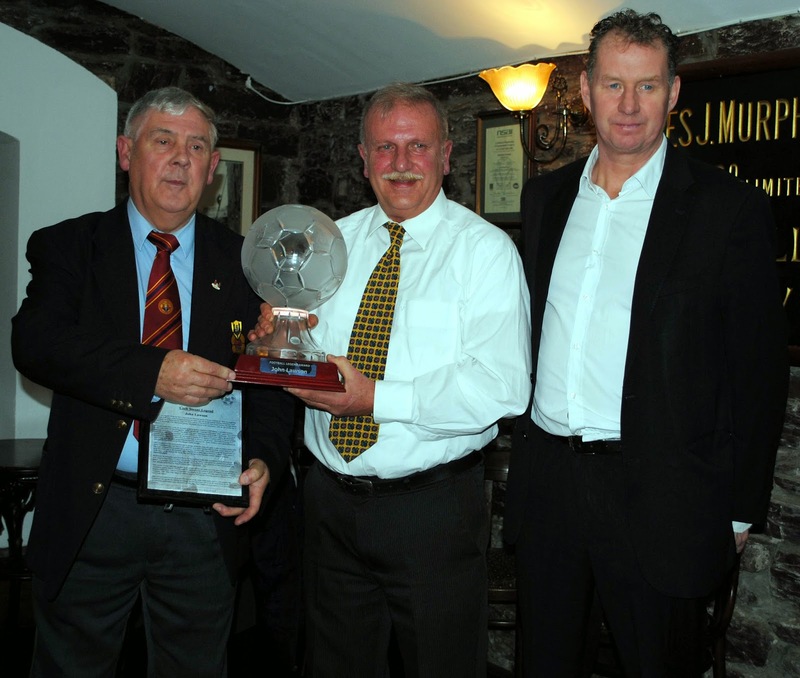 Also in picture is Declan Farmer (Heineken Ireland).